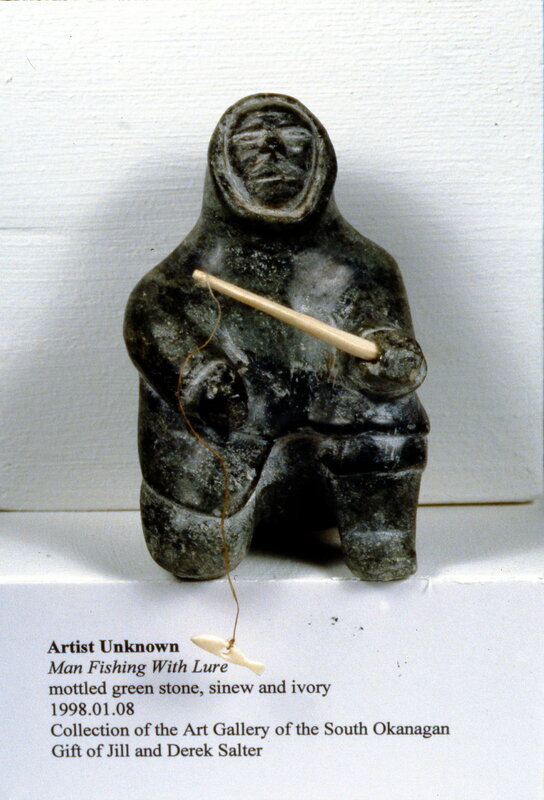 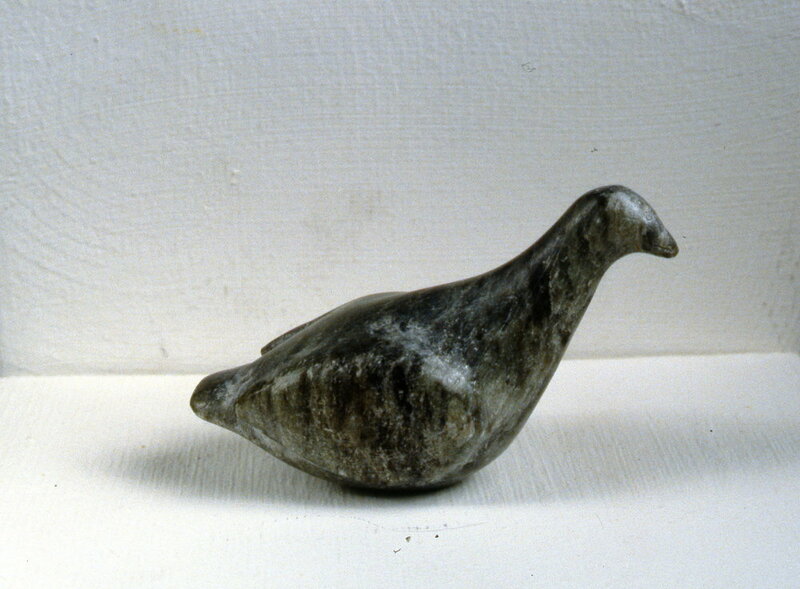 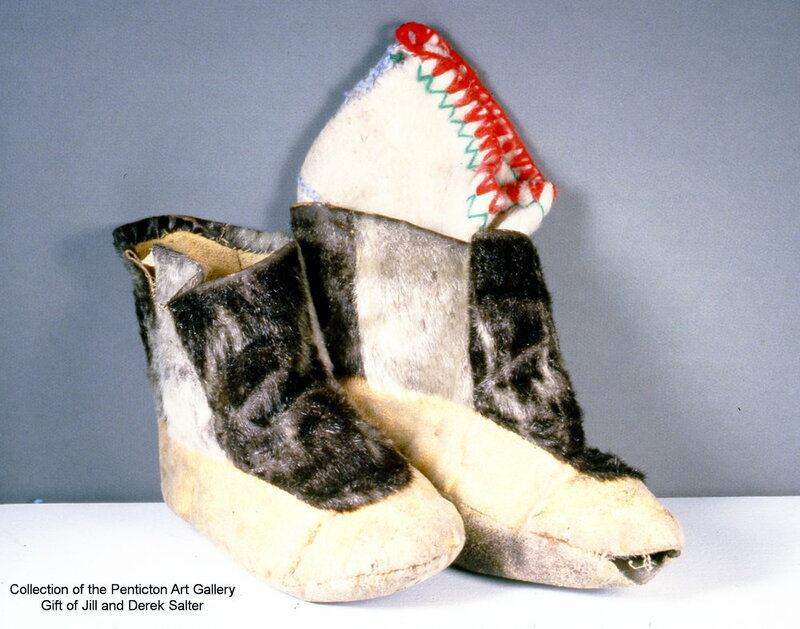 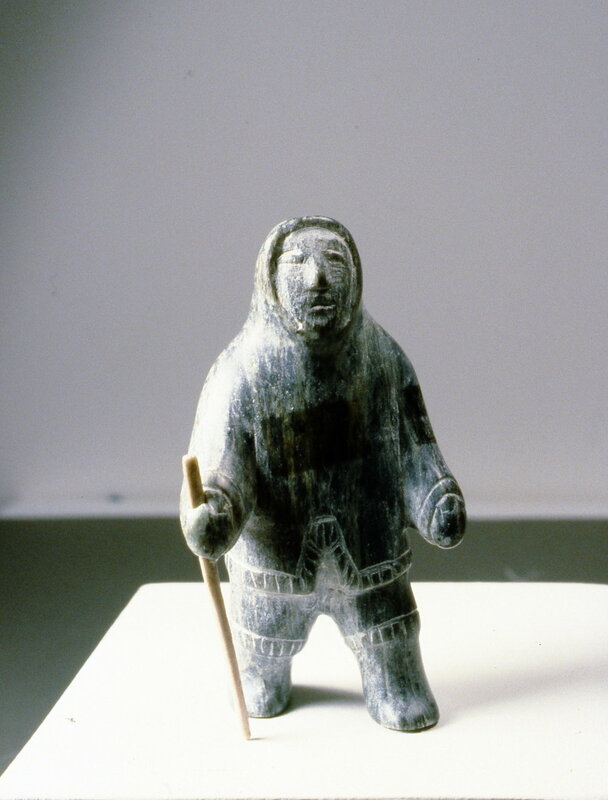 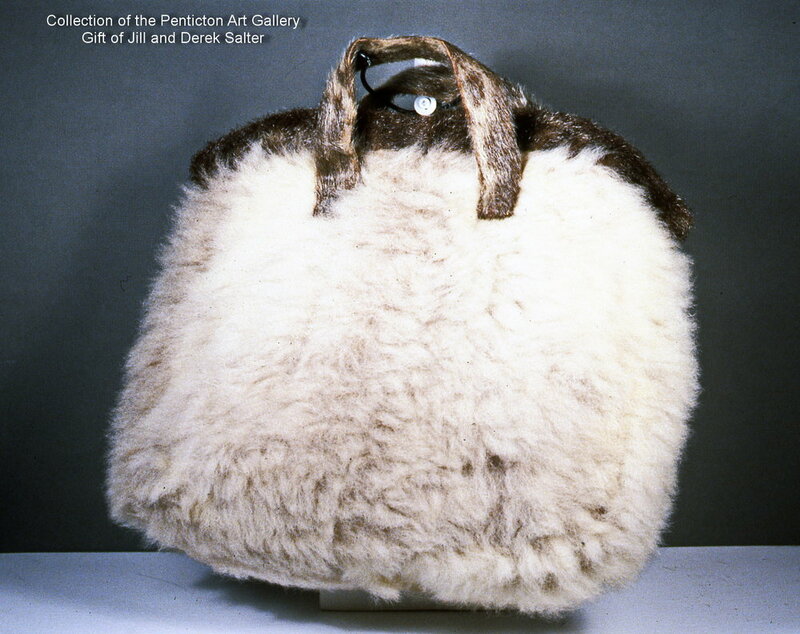 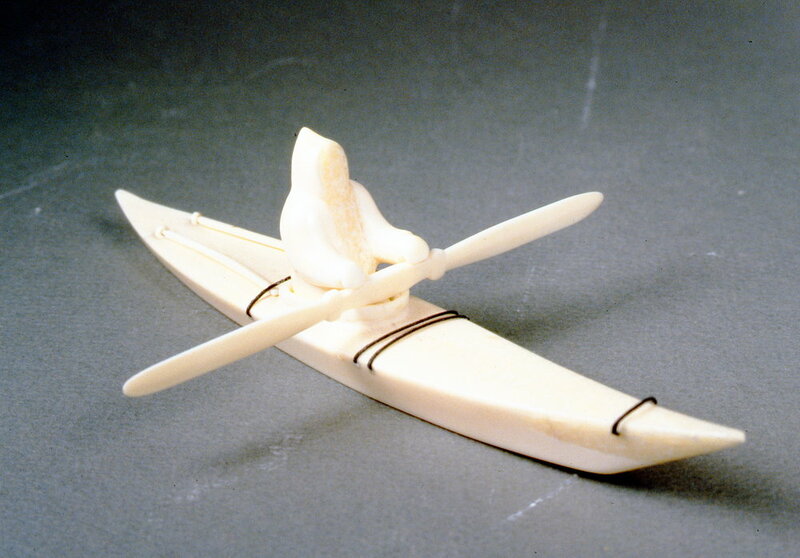 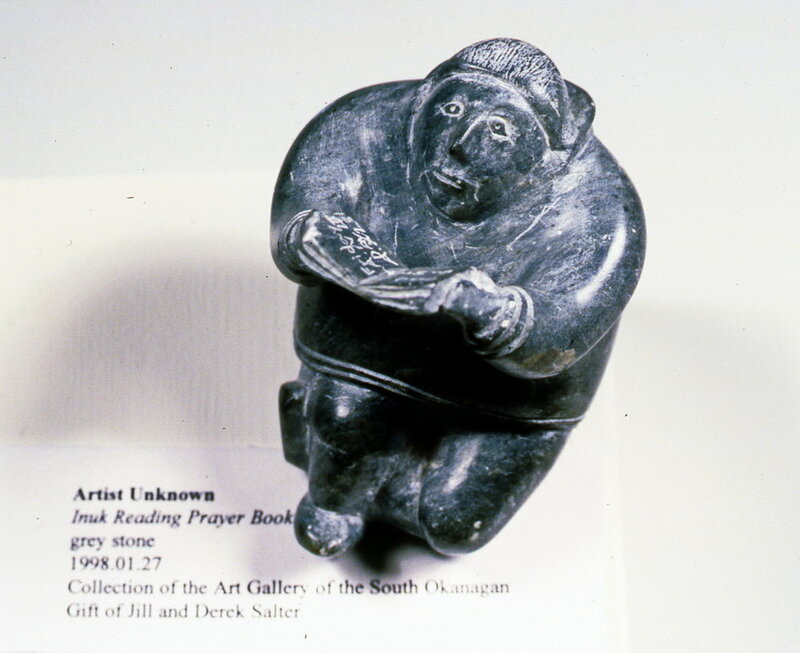 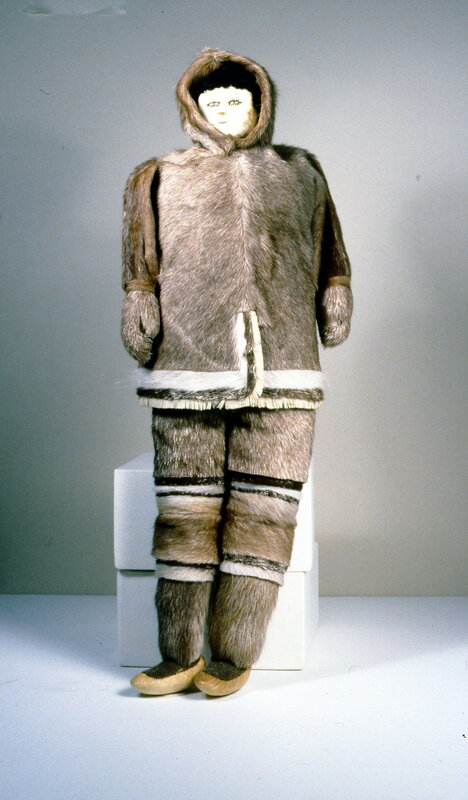 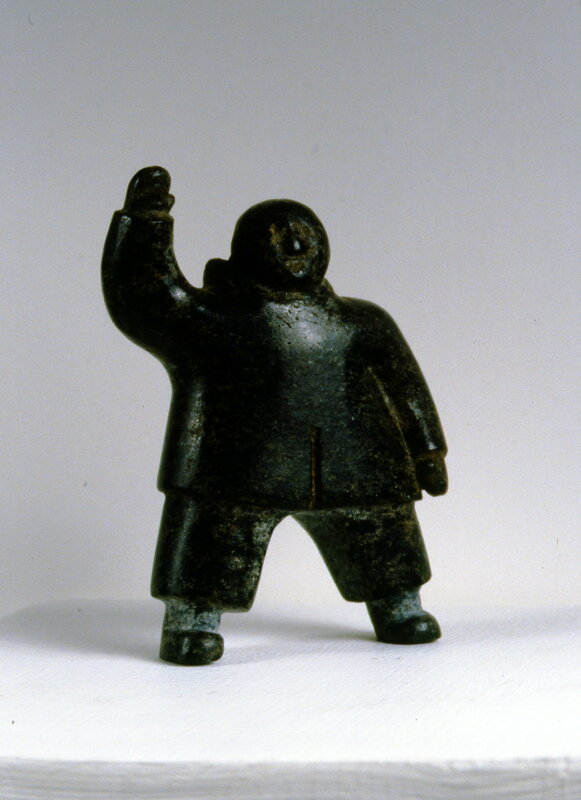 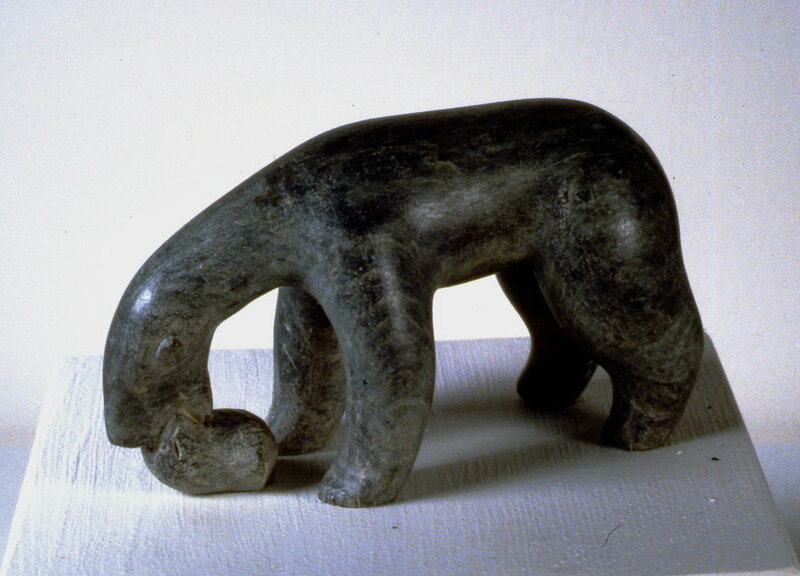 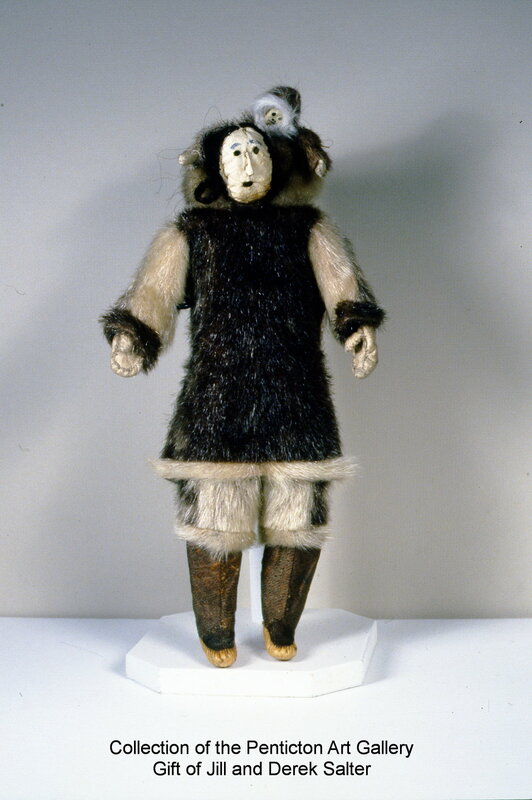 The stunning objects that compose this collection of Inuit art were collected in Pangnirtung, located on Baffin Island in Nunavut, by Madeleine Salter (1923 - 2011) between the years 1953-56 and 1965-68. 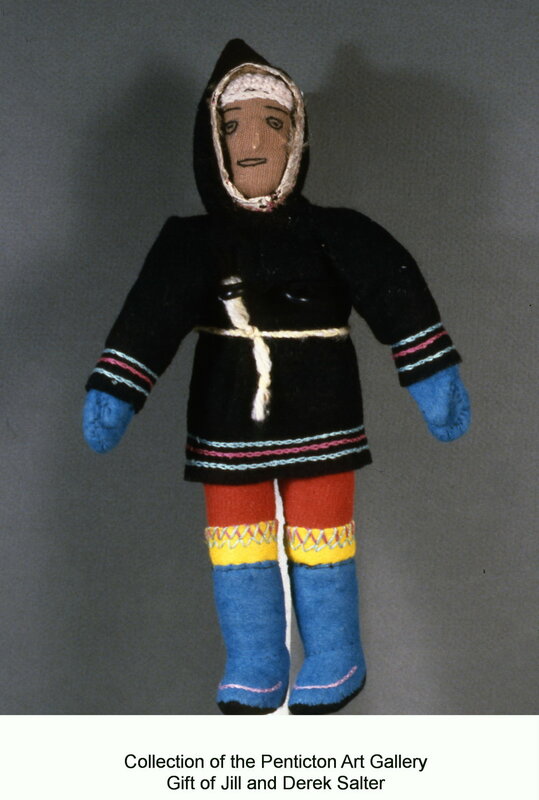 During this time Madeleine worked as a nurse at the St. Luke’s Mission Hospital. 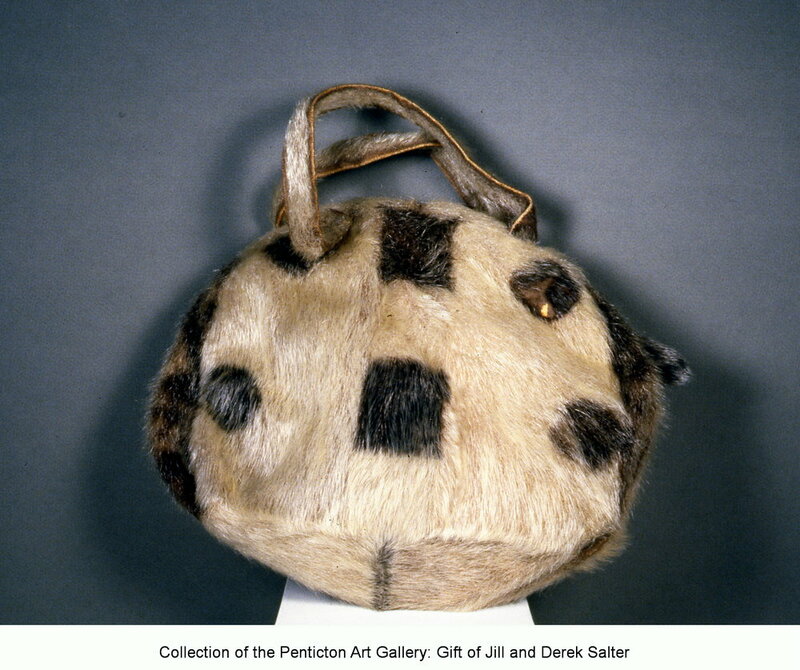 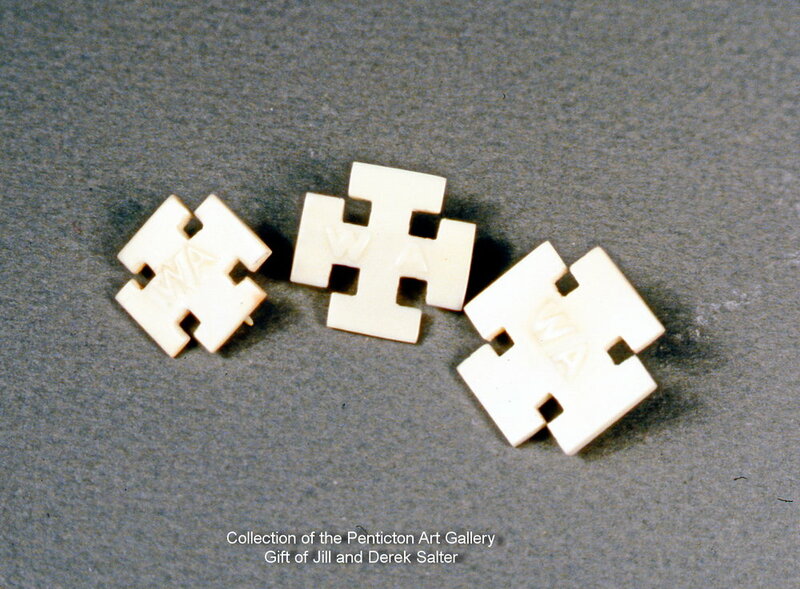 The collection was donated by Madeleine’s brother and sister-in-law, Derrick Salter and Jill Leir Salter, in 1998. 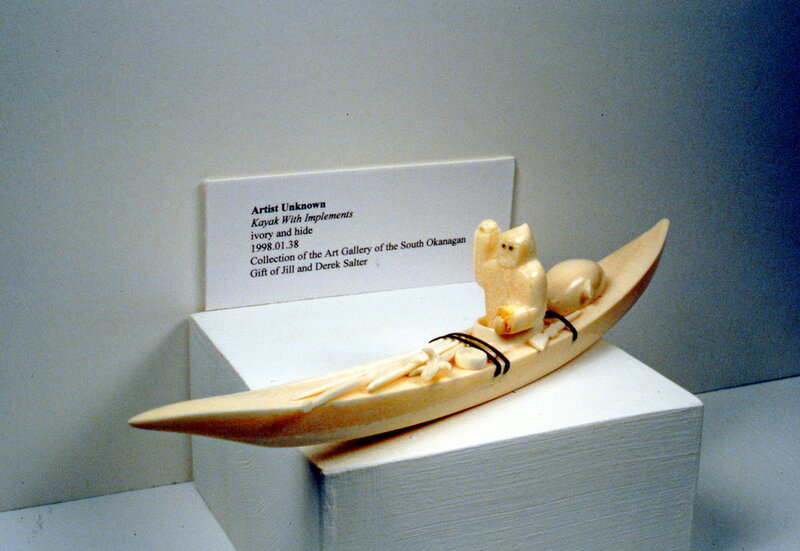 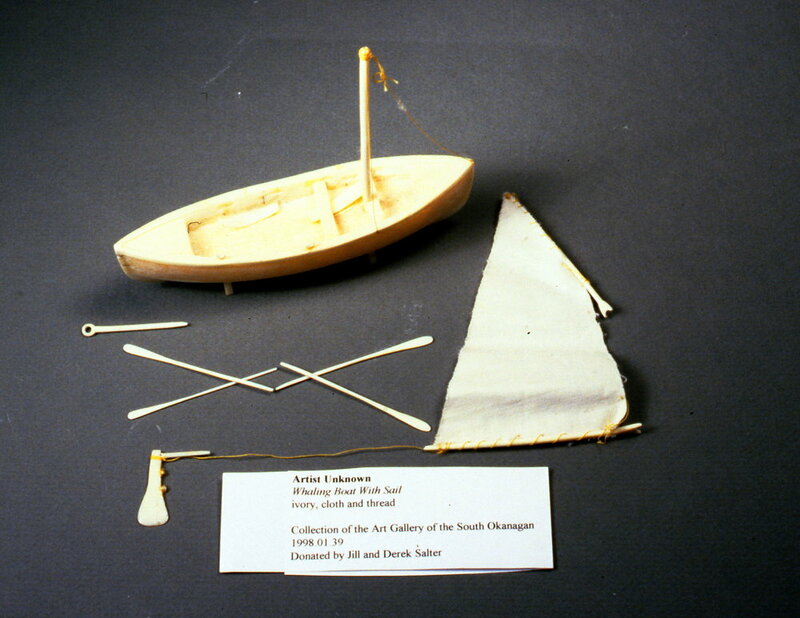 The 101 finely crafted objects include sculptures of people, animals, boats, igloos and dog sleds, as well as dolls and other carved objects. 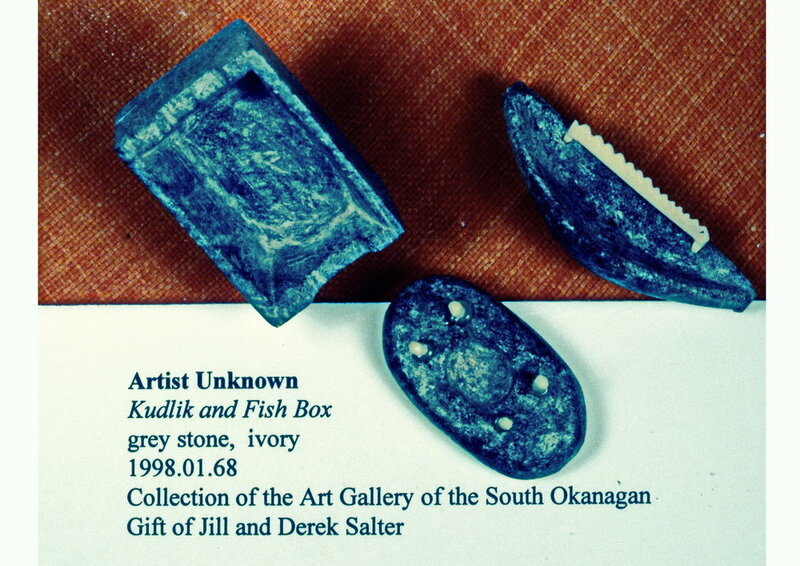 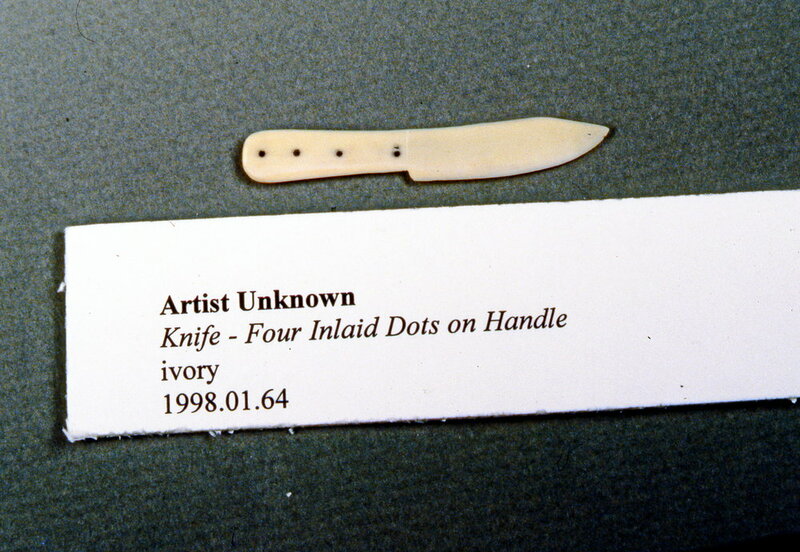 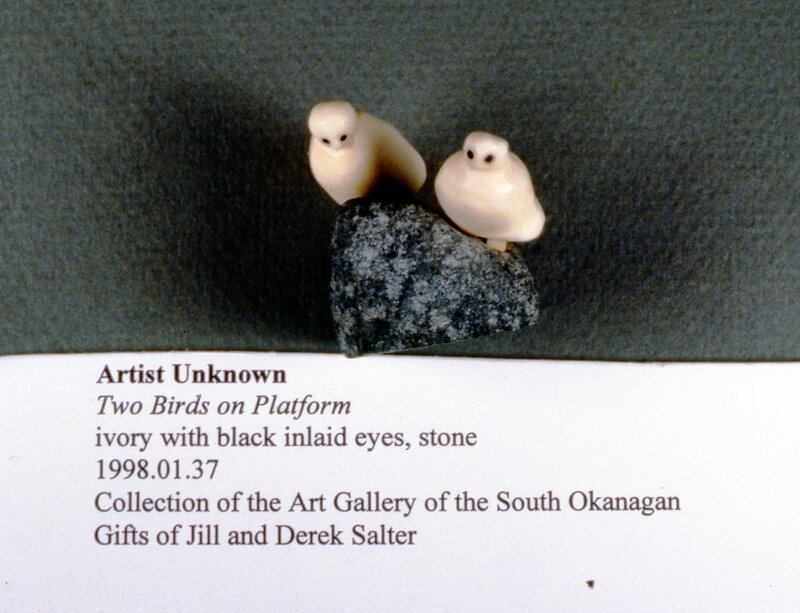 Together they form an important and precious part of the Penticton Art Gallery's Permanent Collection. 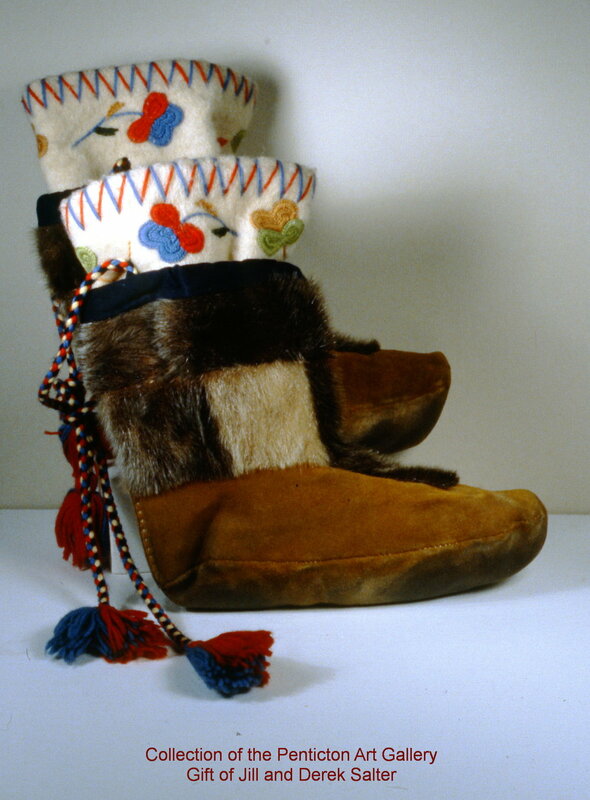 Also included in this collection is a large amount of photographic slides that chronicle Madeleine’s time and observations in Pangnirtung, including photos of the townsfolk, her co-workers at the hospital, photos of the art objects now in the collection, landscape and nature photos, and documentation of a dog sled trip. 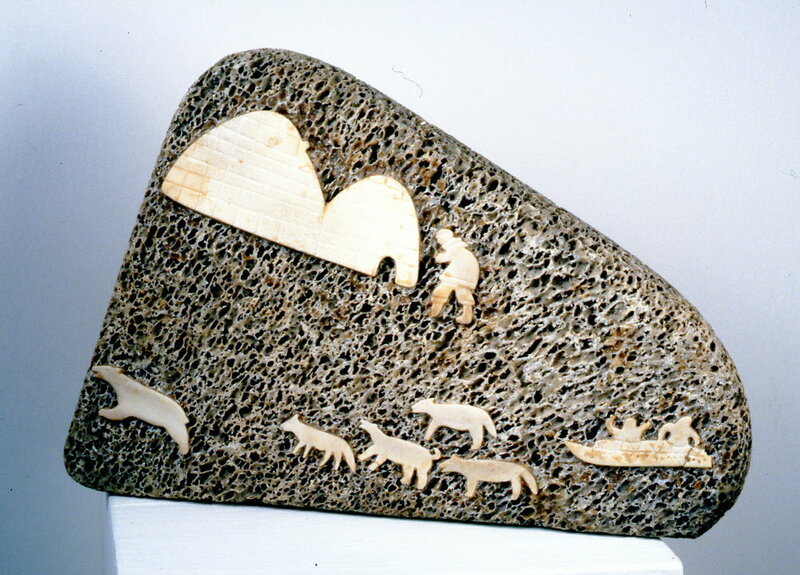 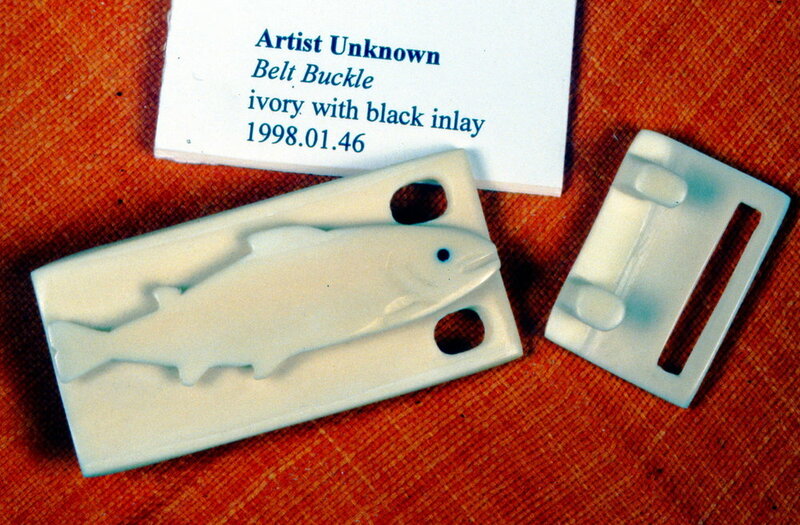 These slides would have been used by Madeleine during lectures that she gave about her time in Pangnirtung. 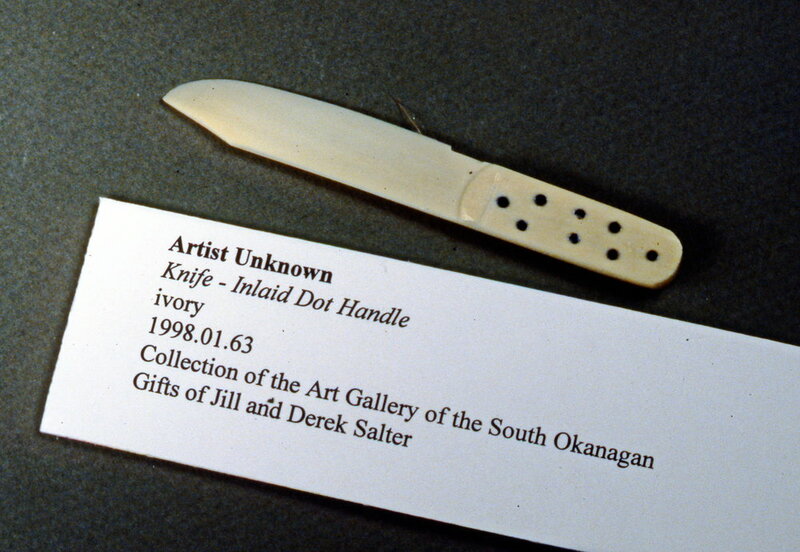 She also kept notebooks recording details of her experiences. 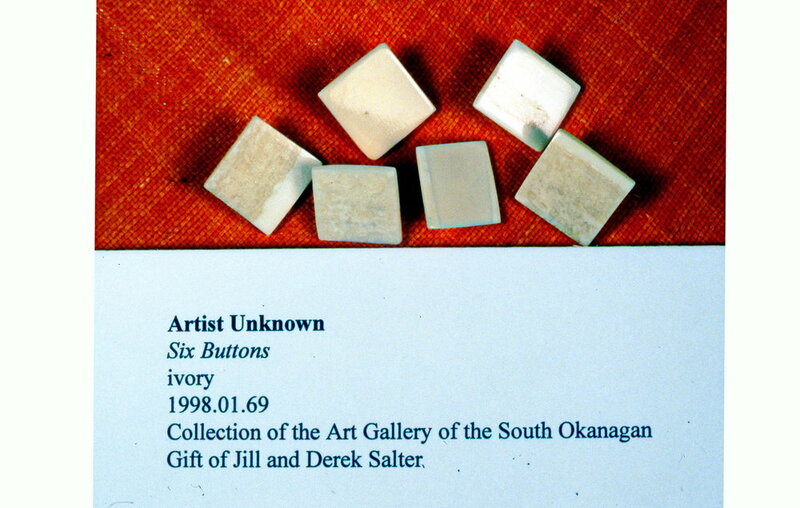 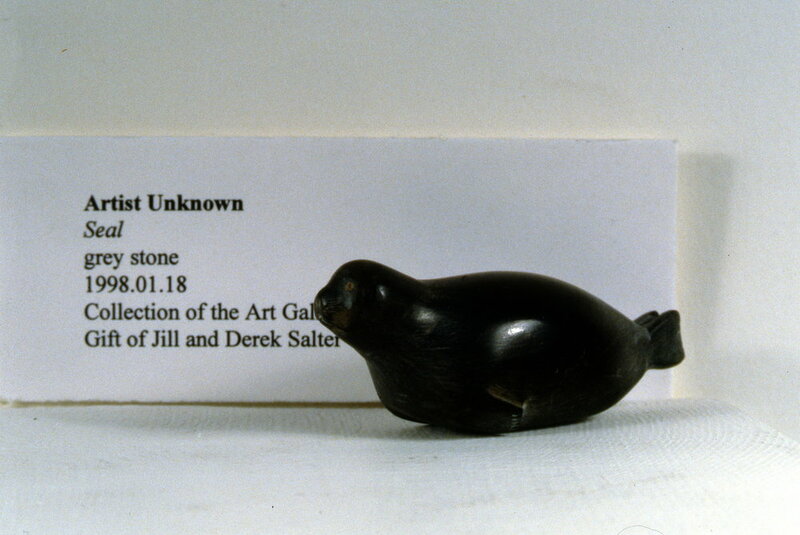 The Penticton Art Gallery’s collection is in fact only part of Madeleine’s extensive collection. 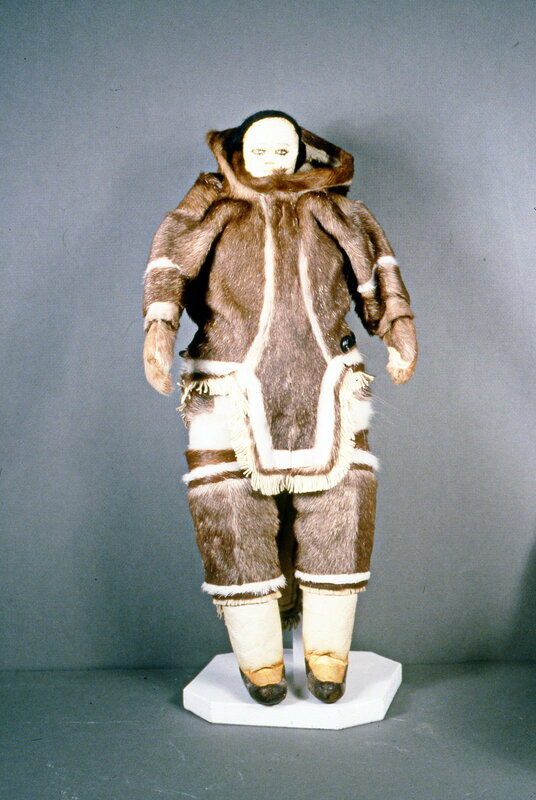 The other portion of objects, which includes toys, carpets, seal skin boots and parkas as well her notebooks and correspondence were recently donated to the Canadian Museum of History in Ottawa (formerly the Canadian Museum of Civilization). 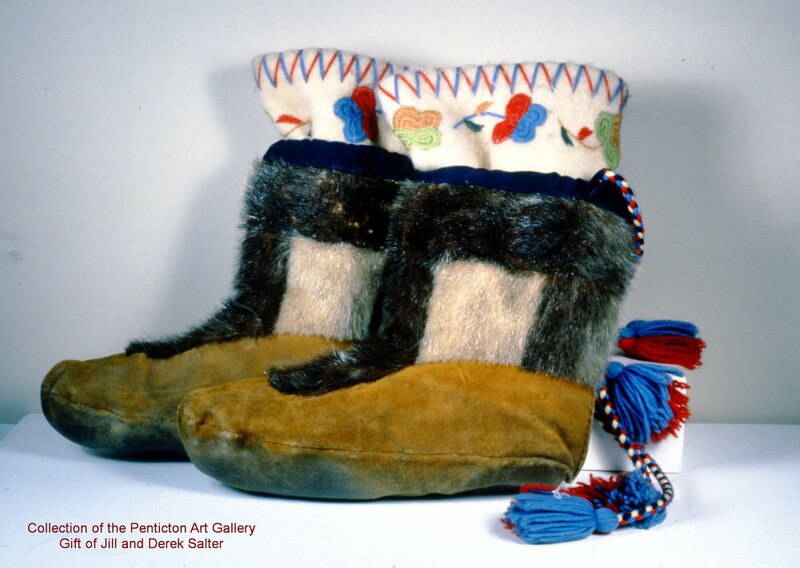 This is an ongoing project and we will update this page as we continue to work on this important collection and conduct more research.